Ugga mugga! 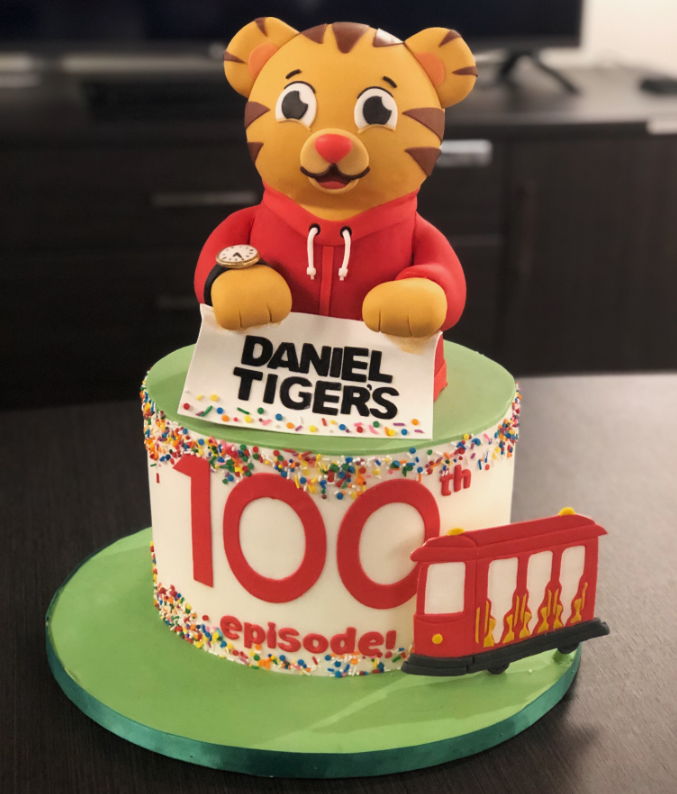 We have officially wrapped production on the 100th episode of Daniel Tiger’s Neighborhood on Friday, March 1 and what better way to celebrate than with cake. 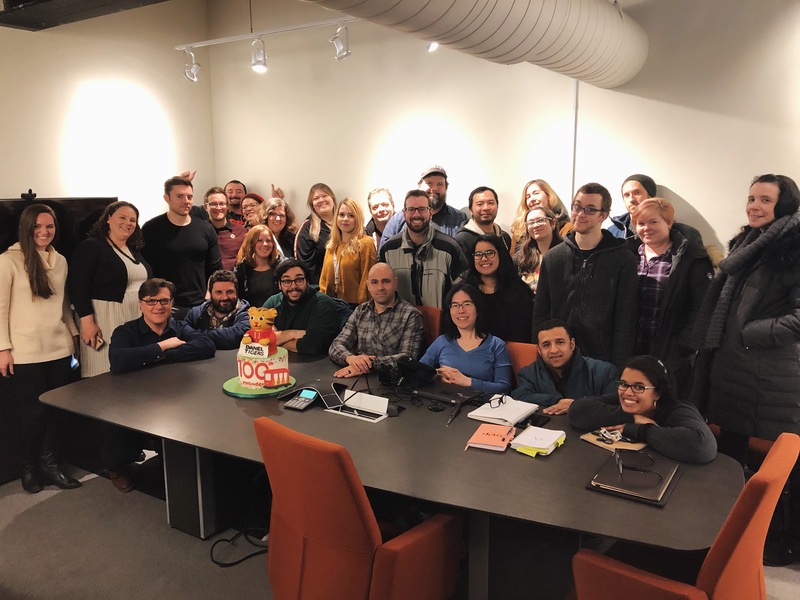 On Wednesday, the whole DTN crew, the producers, writers and animators, gathered to commemorate this amazing achievement with a spectacularly sweet rendition of our beloved Daniel. Congrats to the whole team for this wonderful achievement. 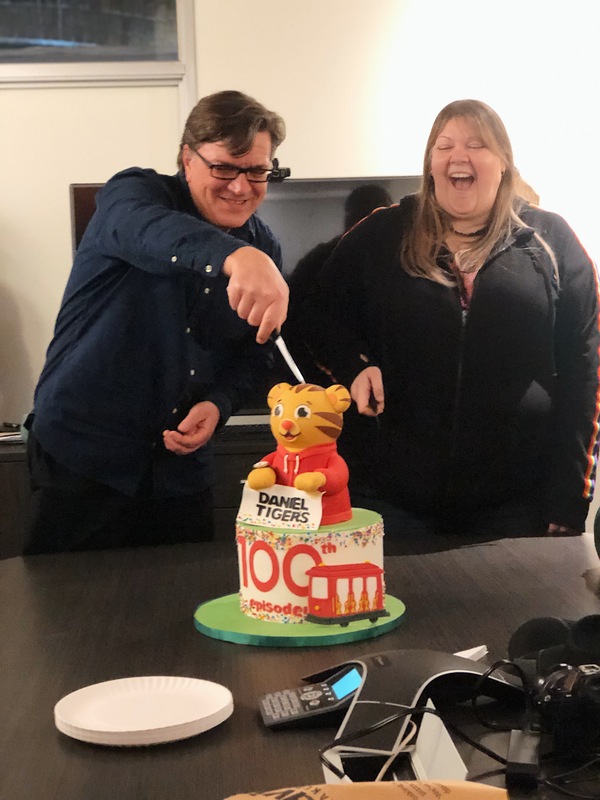 Everyone here at 9 Story Media Group is excited for the episode to air on PBS Kids later this year!